Have you or a loved been injured while working for the West Virginia Gas Drilling industry? Have you recently lost a loved one due to a gas explosion or industrial accident caused by negligence or a safety violation? If so, having lawyers with a successful track record on your side – like those at West Law Firm — is an important first step in protecting your rights and getting full and fair compensation for your losses. What duties do owners and operators of West Virginia oil and gas drilling sites have to workers like you? West Virginia employers are required to provide their workers a safe and healthy work environment. Also, under the Occupational Safety and Health Act (OSHA) and other safety regulations, employers must determine which jobs expose workers to dangerous conditions and take actions to protect their workers. Typically, a combination of engineering controls, work practices, protective equipment, along with worker training, is required to protect workers from potentially dangerous work conditions. Worker safety awareness is also necessary for injury prevention during all phases of drilling and servicing operations. Therefore, employers must conduct safety meetings, Job Safety Analyses, and general and task-specific training for all processes and procedures involved. When an employer fails to follow these or other safety rules and procedures, workers often get hurt or killed. Injured while working in the gas & oil industry — What are your options? Depending on who or what caused your injuries, you may be entitled to monetary compensation through workers’ compensation or a personal injury claim or both. Unfortunately, workers’ comp is usually not enough to support a worker while he or she is injured. Workers’ comp insurance providers are also known to unreasonably delay, deny and defend workers’ comp claims, thus, adding to an injured worker’s hardships. A West Virginia personal injury claim may help you recover losses not covered by workers’ comp like pain, suffering, and all past and future lost wages. Therefore, it’s important to speak with an experienced work injury lawyer — like those at West Law firm – to identify all of your options and protect your rights. Evidence can be lost or destroyed, and West Law Firm has the skill and experience needed to help you obtain full and fair compensation. Additionally, one of our experienced gas and oil accident lawyers may be able to identify other parties responsible for your injuries. For example, negligent landowners, subcontractors, and/or manufacturers, sellers, and distributors of defective machinery and equipment may also be responsible for your injuries. We invite you to call us toll free today for a confidential Free Consultation. Our toll free number is 1-877-943-WEST (1-877-943-9378). What are some of the health and safety hazards related to hydraulic fracturing? Workers may be exposed to worksite health hazards that can include exposure to diesel particulate and exhaust gases from equipment, silica dust, high or low temperature extremes, high noise levels, and overexertion leading to sprains and strains. In addition, fatigue may be a concern due to long working hours. Trucking accidents – nearly one-third of serious injuries and fatalities linked to fracking are caused by gas & oil industry trucks, typically driving to or from a drilling site. Being struck by moving equipment, including motor vehicle accidents (primarily when traveling to and between well sites), tools, and falling objects. Chemical and silica dust exposure. Being caught in pinch points (such as hammer union wings and hammers, pump iron, and racks). Being struck by high-pressure lines or unexpected release of pressure (for example, mismatched or worn hammer unions, line failure). Fires or explosions from flowback fluids containing ignitable materials (e.g., methane) and other flammable materials stored or used at the well site. Working in confined spaces, such as sand storage trailers, frac tanks, and sand movers without taking the required precautions. Why are so many people injured or killed while working for the West Virginia oil and gas industry? Hydraulic fracturing or “fracking” is a process used to “stimulate” well production in the oil and gas industry. Its use in West Virginia has increased significantly in the last 10 years because of new horizontal drilling and multi-stage fracking (or “completions”) technologies that improve access to natural gas and oil deposits. It involves pumping large volumes of water and sand into a well at high pressure to fracture shale and other tight formations, allowing oil and gas to flow into the well. Extracting natural gas and transporting it for consumer use is a multi step process that involves hazardous chemicals, flammable gases, along with heavy equipment and machinery. At each step of the process, serious injury and death can result if employers and corporations put profit ahead of safety and don’t obey the rules they are required to follow. Why does West Law Firm represents people who work in the gas and oil industry? West Law Firm represents injured workers and their families because they bear the greatest burden when safety rules are violated by the gas drilling industry. We work hard to recover full and fair financial compensation for injured workers while providing them excellent, caring service. Recovering money for injured workers helps them pay the rent or mortgage, and buy food for the table and clothing for their children. Representing injured workers also helps ensure employers who play by the rules are not undercut by those who gain advantage by cheating the system and their workers. Holding rule breakers accountable also make the gas and oil industry a safer place to work. 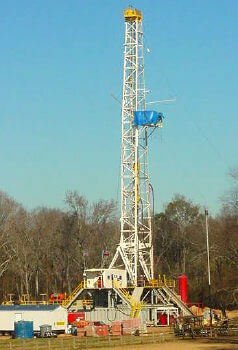 Gas drilling injuries and deaths are often caused by multiple factors and require an experienced lawyer with thorough knowledge of the safety rules and regulations governing the gas and oil industry. At West Law Firm, we provide each client that level of skill along with excellent, caring service — as our clients’ testimonials say best. If you or a loved one was was injured or killed, we invite you to call us for a free consultation. Our toll free number is 1-877-943-WEST (1-877-943-9378). West Law Firm, there’s never a fee unless and until we get money for you. And if you can’t come to us, we will send a gas injury lawyer to you. Not Injured in the gas drilling industry but concerned about workplace safety? If you have not been injured but have concerns about your workplace safety, the list below identifies some of your rights and options under the law. Additionally, this link to OSHA’s Worker Rights may also be helpful. West Law Firm is located in Charleston, WV and serves injured workers throughout the state of West Virginia.